Minimotos4u has a full range of minimoto performance parts and minimoto tuning parts to ensure you have the fastest minimoto around. 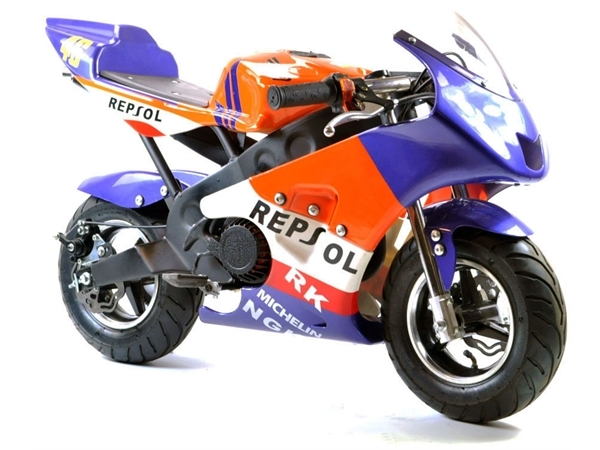 Please try these other pages if you are looking for midi moto spares, mini dirt bike spares , DR midi dirtbike spares and blata origami replica spares. We all want more power, we want to be the fastest, ever wondered how those 49cc minimotos could leave you behind so easily, well not anymore. We have 3 High Performance Kits that will have your minimoto flying, keeping you up at the front and leaving the others in fumes. The three kits are the Stage 1 Kit , Stage 2 Kit and Stage 3 Kit. All parts of the kits can be bought separately if required see below. Stage 3 Mega Performance Minimoto Kit NEW!! Stage 4 Mega Performance Minimoto Kit NEW!!!! The Stage 4 kit is designed for all out performance, massive gains in acceleration and big gains in top speed. 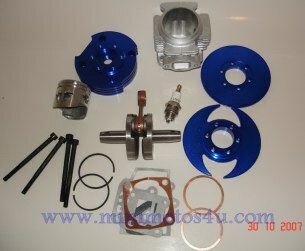 This is a very serious kit for your 49cc minimoto, very serious power!!!. Featuring the high performance 15mm race carb complete with the boost kit. Are you brave enough!! N.B when fitting this kit we will need an alloy pullstart and knurl. For those wanting to buy seperate Minimoto Performance Parts feast your eyes! 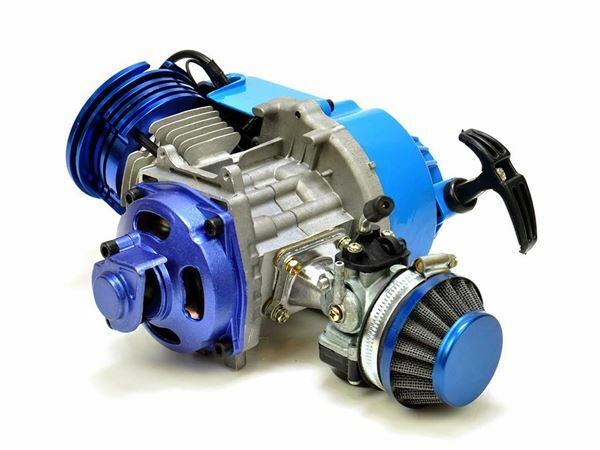 An uprated performance orientated version of the standard 49cc mini moto engine. 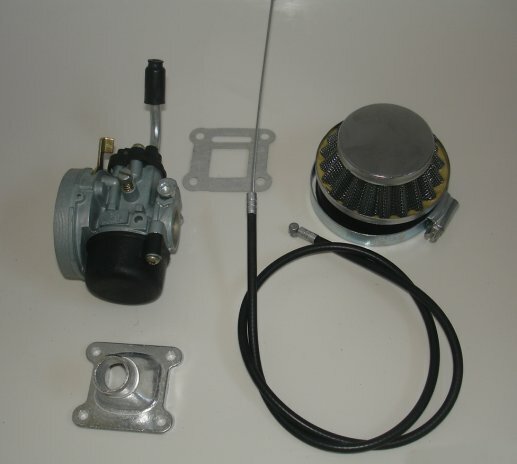 Featuring multiple upgrades from the standard engine which include full circle balanced crank, which generates higher torque and smoother running, ported high compression cylinder with aggressively vented cylinder head for improved cooling, bigger fuel flow carburettor, and performance air filter. The engine also features a substantial metal pull start, heavy duty clutch housing fitted with 6 tooth pinion and stronger heavy duty clutch. The pull start, clutch housing and air filter have all been colour matched with the cylinder head. The engine revs approx. 3000 rpm higher than a standard engine, right up to 12000 RPM. A standard mini moto engine is approx. 2.5 HP. This one is nearer 4 HP. The biggest increase isn’t top speed, though it is slightly faster. The real noticeable difference is low down power and acceleration, which is referred to as torque. So this is a high performance high torque engine. BUY YOUR MINIMOTO RACE ENGINE NOW!! 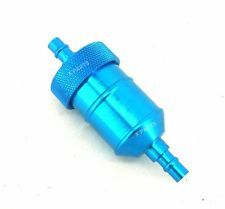 Top quality mini moto racing jet to fit the standard minimoto carburettor to give you more power, get your carburation spot on!! 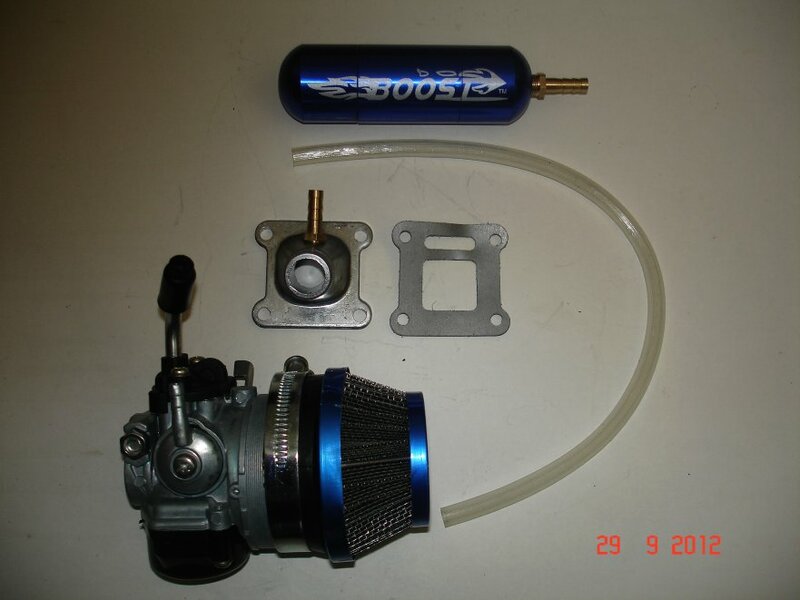 Boost Kit For The 15mm High Performance carb. 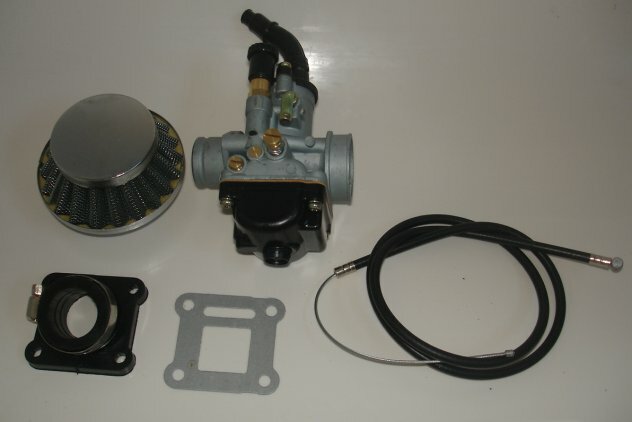 For Serious Power we now stock an awesome 19mm high performance carburettor kit ideally suited to the HP engine kits and uprated exhausts to give you instant bolt on power to your minimoto £40.99. 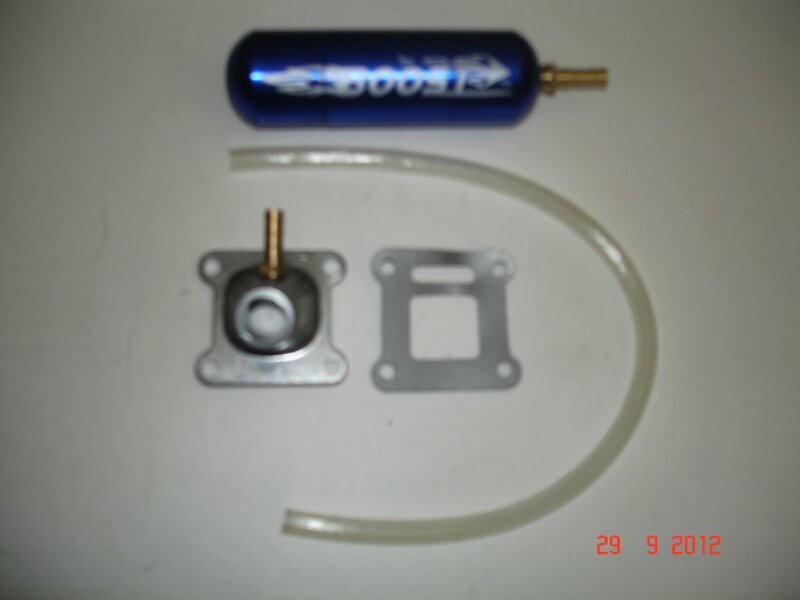 This new and improved fast flow fuel filter fits all minimotos, mini dirtbikes and midimotos, but is far superior and stronger than the standard filter. Keep all that damaging grime from blocking your carburettor. Priced at only £8.99. Put an end to starting problems for good with this brand new design easy pullstart only £22.95. NEW!! Lightened Racing Flywheel simply replaces standard item for big Power!! 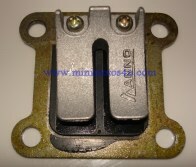 Fits all air cooled reed valve minimoto engines. Lightened and balanced which provides quicker throttle response, and smoother top end. ONLY 1 LEFT BE QUICK!!!!!! Fits all import 2 stroke air cooled minimoto`s, 47/49cc, mini dirt bikes and all midi motos X1, X2 etc. 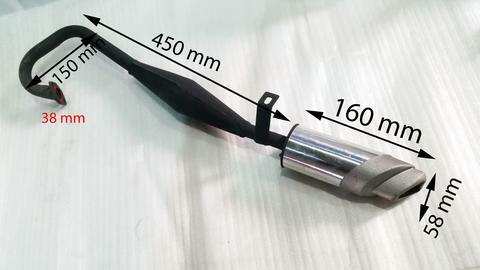 These high performance plugs are one of the first cost effective tuning modifications you can do to your minimoto. The high performance NGK BPM spec plug with a upgraded heat range allows better burning of fuels in your engine. starting, the standard plugs foul so easy and are just plain cheap and nasty. minimoto as the fuel and air quantity will have changed from the standard setup. Instant performance and ready to fit straightaway. These racing jets are one of the first cost effective tuning modifications to do to you minimoto. These are precision drilled and a direct replacement perfect fit performance tuning replacement for your stock smaller jet taking 10 minutes to fit. The sizes included are :- .60 .65 .70 .75 . 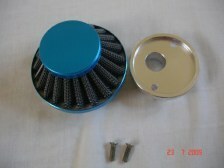 From the factory minimotos are generally equipped with a .64 jet for economy and standard restrictive air filters etc. With this set of four performance jet sizes you can tune your bike to your hearts desire to get the most out of it. 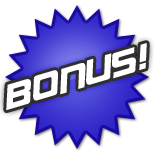 *Performance - Helps let more fuel in giving an increase in bhp. of fuel going in these do as they are in 4 marked sizes. *Increase in acceleration and top end speeds - Get that advantage over others with these. *Greatly compliment other tuning parts - Such as KN style air filters, performance reeds, rocket keys etc. *Puts less demand on your engine - With the bigger pinion the gearing is better and your not thrashing the engine all the time. *Multi fitment - Our pinions will fit all bikes (from the earliest to the latest) with or with out the bearing carrier without problems. *Tempered long lasting - These are heat treated for strength and are very long lasting. "I fitted these to one of my bikes and was able to pull wheelies at 15-20 mph just buy pulling back and revving the bike! Amazing!!!". Blow your mates into the weeds with this superb 7 tooth race sprocket designed especially to give you greater top speed. These performance air filter kits are one of the first cost effective tuning modifications to do to your minimoto. 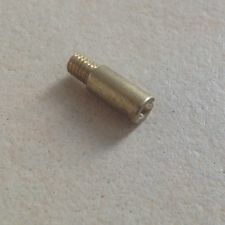 They are of very high quality and allow your engine to breathe more efficiently, they just take 10 minutes to fit and bolt straight onto your carburetor. *Less bogging - Helps create engine revs faster due to more air able to rush into your carb. *Complete with precision fitting stack - Many other air filters don't come with the correct alloy stack meaning your filter is ill fitting thus letting dirt enter the engine. *Works great with other modifications - If your intending to modify your minimoto for extra performance then this is definitely a base starter to work from as it helps all other modifications work to their potential. Now you have got all this extra power you need an adjustable race clutch to handle it!! 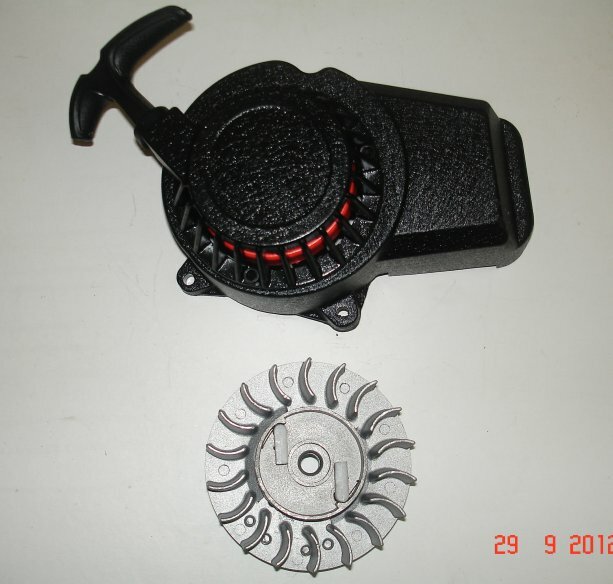 This high performance minimoto race clutch is far superior to the standard clutch fitment. You now have multi adjustment to make the clutch bite at your desired rev range, together with no slipping due to the heavy duty springs fitted this is a must have accessory.